The vacation rental business is booming in certain parts of the country. If your business has plenty of competition, it is more important than ever to make your company stand out. Whether you have hundreds of rentals in your program or a dozen, every business man and woman understands that it can be tough convincing owners and guests to choose you. Maybe they haven’t even heard of you because there are so many options in that vacation destination. 1) Does Your Website Have Character? If your website looks like every other guy’s website, you’re going to need to work harder to prove that you are better. Many choose a customized website beyond the capabilities of a drag and drop website design tool like Square Space. Working with a developer to create a customized design takes time, and more importantly, money. But with the proper design, your new website can pay for itself in a matter of a few months. So what do I mean when I say “character”? I mean branding. I mean style. I mean colors and pictures and graphics that are unique to your business. This can be as simple as pulling colors from your logo, or as complicated as putting together a downloadable “Travel Guide” from your website. Designing character means tailoring a design to what you like, the designer’s eye, and (most importantly) your audience. When designing for a client, it is about making the client happy, which means whatever you says goes. You have plenty of knowledge on what the website needs to do and how to make it appeal to your particular audience. Do you want the vacation rental quick search bar on each page? Do you want a featured vacation rental on the homepage? Do you like the design to be simple, or do you want to make use of space? The best way to have answers to these questions ready is by investigating your competitors or just searching for something that pops out at you. But keep in mind that because it looks good on another site doesn’t mean a particular feature or design will work best for you. Your designer will have background knowledge and an understanding that will help your business in the long term. The designer blends functionality and visual elements together as best they can. They have to keep the client happy, but also the developers that are going to build the site. If a client wants something that physically cannot be done, then it is up to the designer to find the compromising balance. There are definitely “industry best practices” that are there because they work. The two main changes to websites have been more pictures and less text. Some rules can be broken, but some absolutely shouldn’t. It’s up to the designer to walk that fine line between daring and dangerous. Slideshows at the top of travel and tourism websites are the trend these days. But having multiple large photos loading on a homepage makes it slower loading on a screen. Have you ever clicked on a website and waiting for several seconds staring at a blank screen only to get fed up and leave before it finishes loading? That could be your website if you insist on fancy touches like numerous slide shows, moving text, videos, and tons of links in your navigation menu. Now we introduce UX into the design (aka User Experience). Industry standards still play a role, but it also includes the outspoken members of your guest pool. Plenty of studies were dedicated to how people view a website, move through the pages, search the internet and ultimately leave without purchasing. But there are personal interactions and comments that your guests have given, and their feedback is just as important as ambiguous study groups. If you have guests coming back year after year and they compliment you on an aspect of your website, then that needs to be taken into consideration for the future. In the opposite way, if you get the same questions from guests lost and confused on your website, then that is the first thing you need to tell the designer. You may think back to the numerous phone calls of exasperated guests demanding “Where is ____ on the website?” or “How do I ____ on your website?” Those aren’t fun talks, especially if you have to tell people the same steps over and over. Take the opportunity of updating your website to include much-needed navigation or functionality changes. Typically these are most likely going to mean restructuring your menu, adding more info to your vacation rental pages, and making the availability calendar make more sense. If most of your guests are young families, then you need to include pictures of babies with text on your website that reinforces that your vacation rentals are perfect for those worn out parents and have amenities to keep the kiddos entertained. What do your guests expect to see on your website? What information needs to be there? Where does it need to be placed so that your guests will know exactly where it is without having to call you with questions? These are all questions that you need to share with your designer so that you can answer them together. For instance, I once overlaid a blue color onto top a beach picture and the client informed me that it looked exactly like hurricane weather. I never knew that storms at the beach have a bluish-green tint in the clouds, but that was obviously something that would turn off potential guests. Okay, say your website is awesome. It has flair. It has character. It looks amazing on tablets and cell phones. But your leads are lagging. What gives? Trust is an essential ingredient to booking a vacation rental – or anything connected to a vacation in general. If you want to book a wildlife tour and there are 3 companies and one is by and far “THE BEST” then you’re going to book that one, right? Even if it costs more, plenty of people will pay to have the best travel experience because it could be their one vacation of the year. If there are numerous vacation rental companies that a guest has to choose from, you have to prove that you are trustworthy and will provide an excellent vacation experience. That means writing about your excellent staff, your years of experience, the amenities you can provide, the quality of the vacation rentals, etc. And you need to provide all that proof without gushing about yourself and sounding like you’re a car salesman or a circus ringleader. The “tone” of writing that comes across to people is just as important as the information itself. Recent studies show that peer reviews affect the overall decision of potential guests. No one is perfect, so there will always be a few disgruntled former visitors, but if you have tons of negative reviews out there on the internet then it doesn’t matter how nice your website looks. If you have righted all the wrongs, phrased all your words professionally and elegantly there could be the final hurtle that trips you at the finish line. That hurdle is the dreaded pixelated photo, broken link, or missing page. It happens occasionally to everyone. That is the nature of websites. Some upgrade affects the backend of your website, the reservation software you use doesn’t integrate doesn’t update the new vacation rental you posted, etc. If you have stacks of grainy, dark photos or links that don’t go anywhere but empty internet space then all that hard work of building trust is immediately lost. People can be fickle. Winning over new guests isn’t easy, and they will lose attention and trust after just one website malfunction. This should be the easiest problem to fix. The more work someone has to put in to give you their money, the more likely the rate of “check out” abandonment will increase. When was the last time you personally went through the checkout process on your website? If it has been a year, go through the steps with a fresh eye. Are there multiple windows or pages that potential guests must navigate and enter information? Do they have to check a dozen boxes, read a bunch of legal mumbo jumbo, choose dates over and over in a calendar without realizing that the rental they wanted has a 7-night minimum? You better roll out the red carpet and make the checkout process like walking down the hall of fame. It better be painless to spend money with you, and dare I say it, fun. After all, they’re taking their first steps toward vacation, so you can’t afford to let them forget about the relaxation, entertainment, and amenities coming their way while they’re inputting their credit card info. “Build it and they will come.” I guarantee you that every entrepreneurial blog, business course, and marketing teams reference this famous movie quote with disdain or sarcasm for the naiveté of believing that people will instantaneously discover your business. Certain individuals ignore the expansive black hole of information vying for space and attention on the internet these days. Creating a marvelous website is first, providing a great experience for the website visitors is second, gaining more website visitors is third. The internet was made for sharing information. It is quickly becoming obvious that plenty of people don’t provide enough information in the vacation rental business. Nowadays, guests want to know as much information as possible about a destination or a rental before committing to it. Tell them everything from the square footage of the rental to how many steps away from the beach. How big are the bedrooms? How new is the rental? When was it last updated? Tell them exactly what amenities are included, and note big amenities that are not (the most often assumed amenities are laundry and WIFI). No one likes pointing out what isn’t in a vacation rental, but you must decide if it is worth risking an upset guest later down the road. If you have complicated requirements for your rentals such as booking dates, cleanup rules, regulations for cancellations, then you need to find a creative way to deliver the info in the best way possible. Give them all the information you can, but give it in such a way that people don’t get bored and leave or misunderstand your terms and conditions. The best ways to avoid asking people to pay too much attention is making the information “digestible” or scanning- friendly. Top tips to make information easy on the eyes is making big, bold section titles, short paragraphs, and even icons related to certain amenities. Make sure that your text isn’t too small, and that the paragraphs are clearly separated, properly aligned and simple sentence structure. Keep in mind that media news is written at the 6th grade reading level. I once got the question, “Isn’t blogging for moms and cooking recipes?” The answer is no. 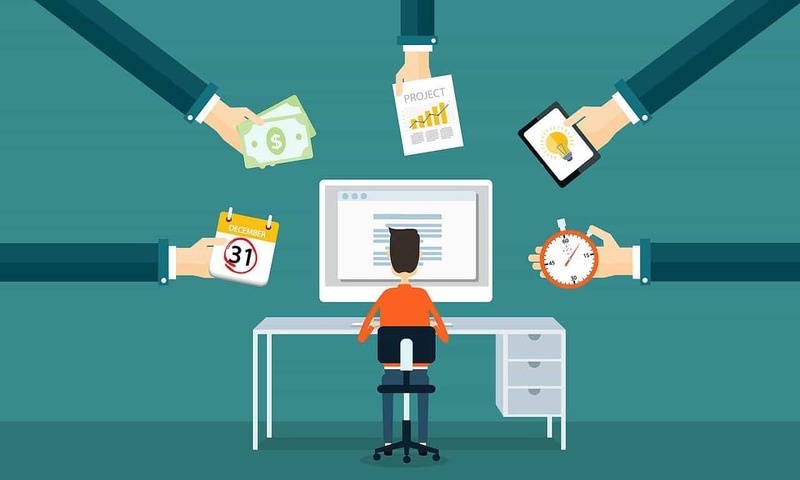 Blogging has proved beneficial for all businesses. The travel industry is filled with couples or individuals blogging about their international travels, but now vacation rental companies are using the same tool to build up their readership and visits to their websites. Even posting two blogs a month about your company, staff, travel destination, vacation rental price drops, special offers, big events and vacation ideas improve your chances of being found on the internet and catching the eye of an undecided guest through the power of information. Inform the guest about what a great vacation they will have, and they will book with you. Write articles about the wildlife, activities, restaurants and attractions. Write blog posts about the 5 vacation homes you have with sun decks and beautiful views. Write articles about the celebrity that just stopped by your area to film a movie. There are endless possibilities for coming up with blog ideas. Read more about “What to Say and How To Say It On Your Vacation Rental Blog”. While we don’t point fingers, it is safe to say that if all else fails, it might be you. 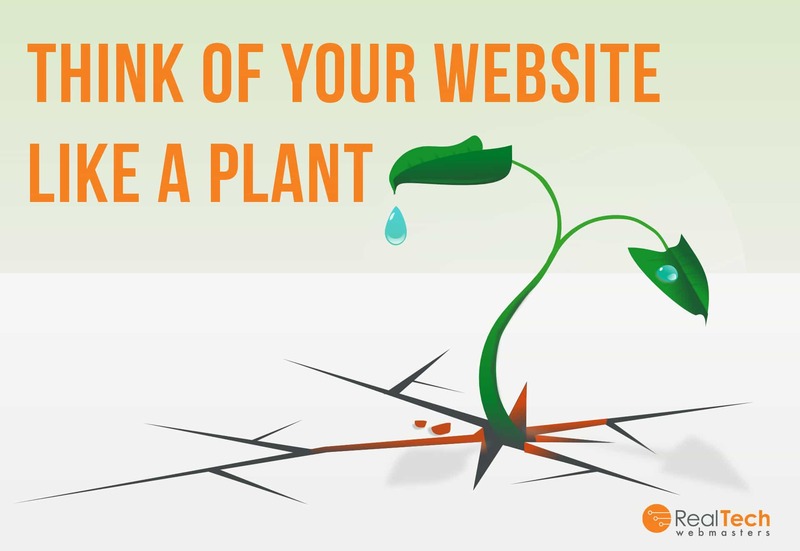 Think of your website like it’s a plant. For the most part, it needs occasional watering and sunlight. If it wilts or stops producing flowers, don’t blame the website. Check for bugs, and give it nourishment and attention. Things get in the way of managing the website. There are always a crisis or more important tasks that need immediate attention. This can distract you from your website long enough for problems to arise. A website takes almost constant upkeep and management, especially in the vacation rental industry where you are always getting reservations, adding new properties to your management or running discounted prices for certain homes or condos. Remember the mantra “Broken Means Bad,” if you aren’t checking for broken links, or updated information on your website then it can send a negative message to your readers. Make a schedule to explore your website, post blogs, update guest testimonials, etc. It also affects your Google ranking. If you updated your blog posts or website pages once a week, Google recognizes that you are always improving your site and that can help you move from a lower page to a higher page on Google search results. There are many other ways to increase your SEO or Search Engine Optimization, but updating your website is the easiest. 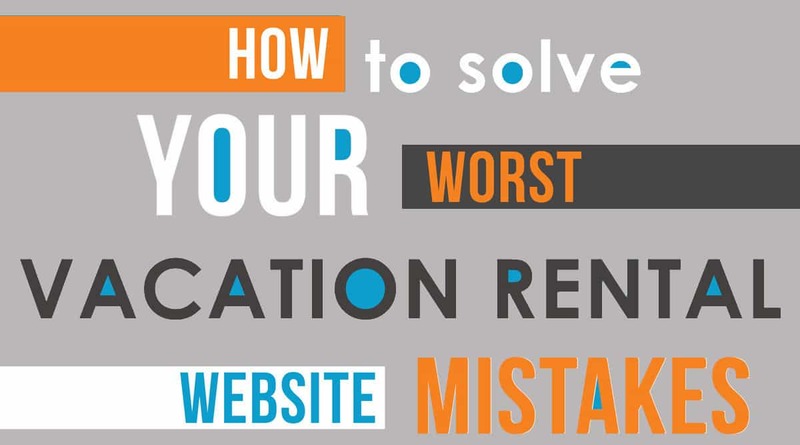 Did we not answer your question or address your specific vacation rental website problem? Let us know by sending us a message through our chat box. We’re here to offer advice about growing your business and helping where we can.